SEPTEMBER IS NATIONAL PREPAREDNESS MONTH-DON’T FORGET ABOUT YOUR PETS! LONG BEACH, Calif. – County of Los Angeles Department of Animal Care and Control (DACC) encourages all pet owners to be prepared before disaster strikes. Southern California is subject to many types of natural disasters such as wildfires, earthquakes, and floods. Local emergencies such as power outages, chemical spills, or other events can also disrupt normal activities. Being prepared for these situations will help you protect your pet. 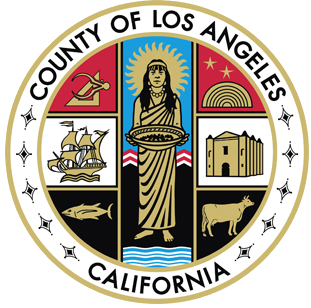 Approval of the recommended amendments to Los Angeles County Code Title 10 - Animals to add provisions relating to the keeping of roosters in the County of Los Angeles. NEW LOCATION ADDED FOR LOS ANGELES COUNTY POOCHES IN THE POOL EVENT THIS LABOR DAY! PUBLIC INVITED TO BRING THEIR DOGS TO COOL OFF IN SIX LOS ANGELES COUNTY SWIMMING POOLS AS PART OF POOCHES IN THE POOL EVENT THIS LABOR DAY! LONG BEACH, Calif. – County of Los Angeles Department of Animal Care and Control (DACC) is thrilled to announce final adoption numbers for the 2018 Clear the Shelters event. The results were outstanding. DACC had 591 dog adoptions, 9 rabbit adoptions, and 342 cat adoptions, totaling 942 adoptions!